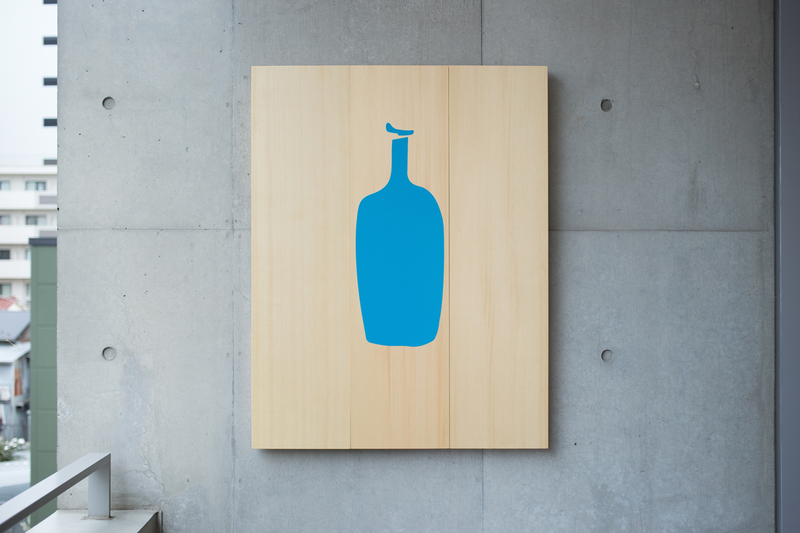 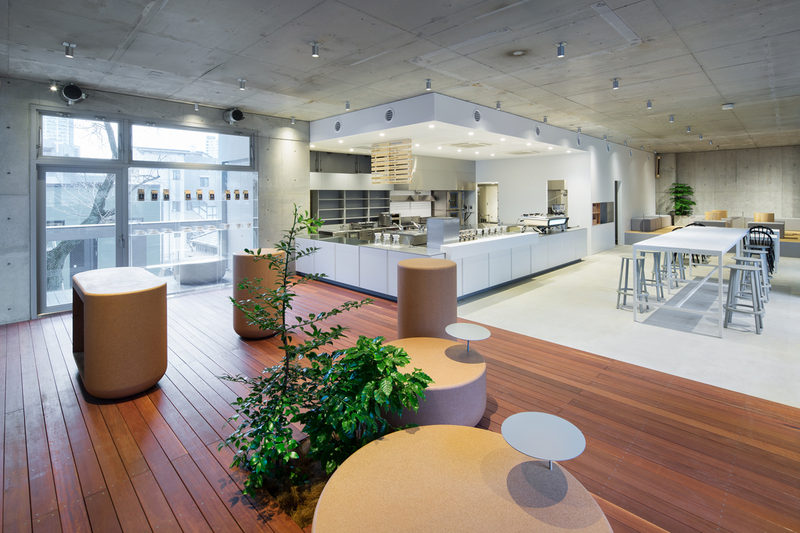 We designed the second shop of Blue Bottle Coffee in Japan. 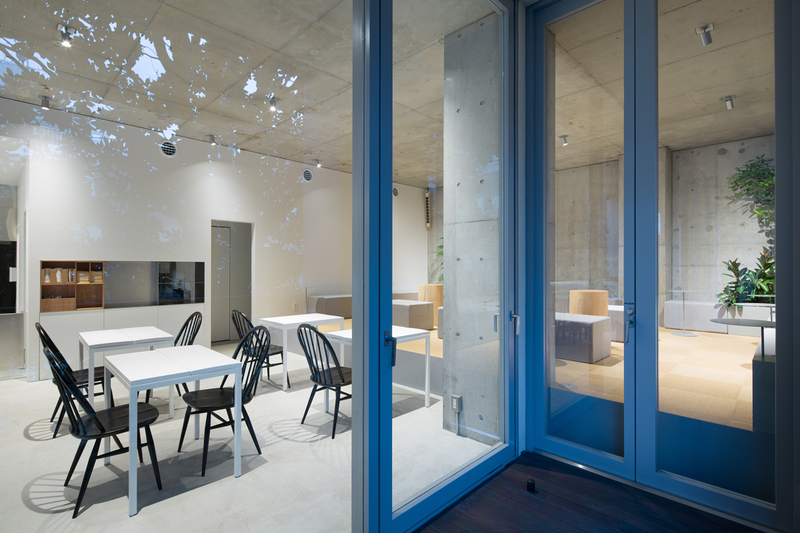 It is located in Aoyama district, approximately three minutes walk from Omotesando Station in Tokyo. 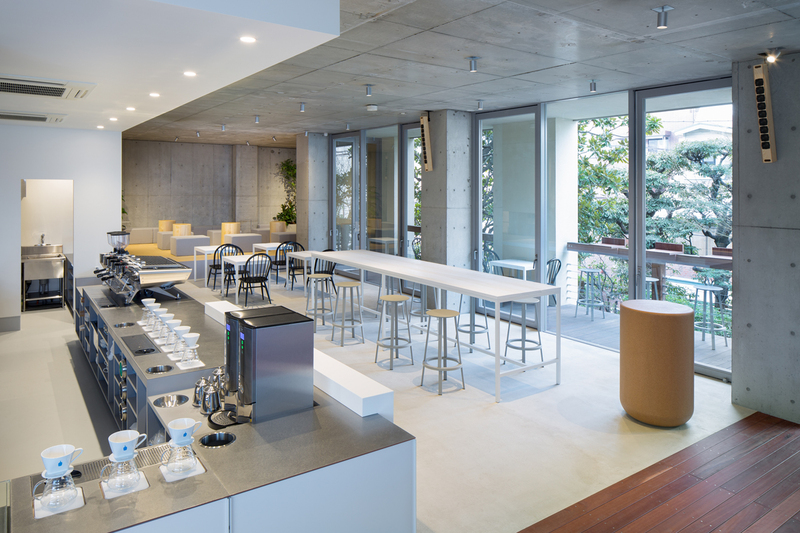 The cafe occupies the second floor of a building surrounded by trees in a quiet neighborhood, a few blocks away from the bustle of the main avenue. 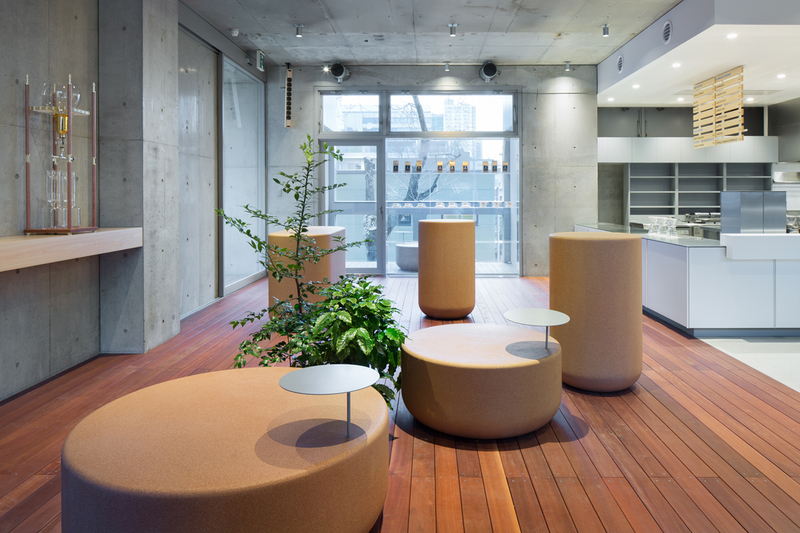 From the second floor, you can see green leaves in front of spacious balconies and enjoy beauty and comfort of each season. 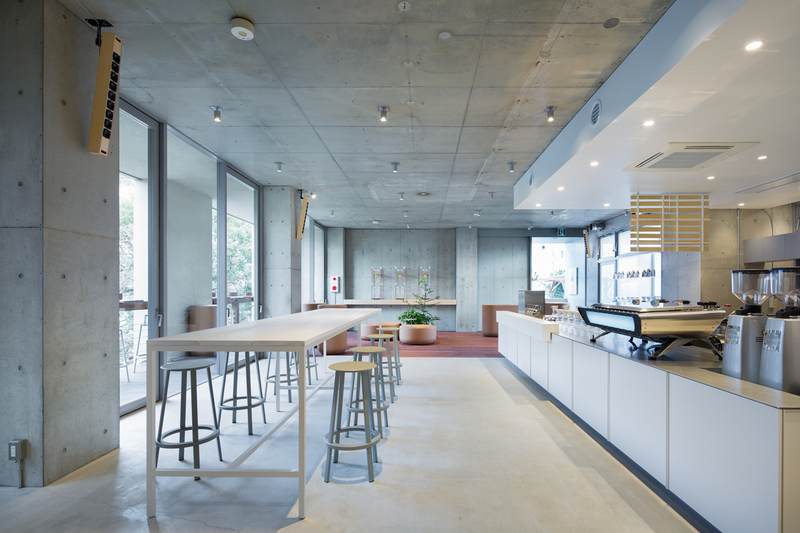 The cafe space is deep in east-west direction, with an entrance located at a narrow end. 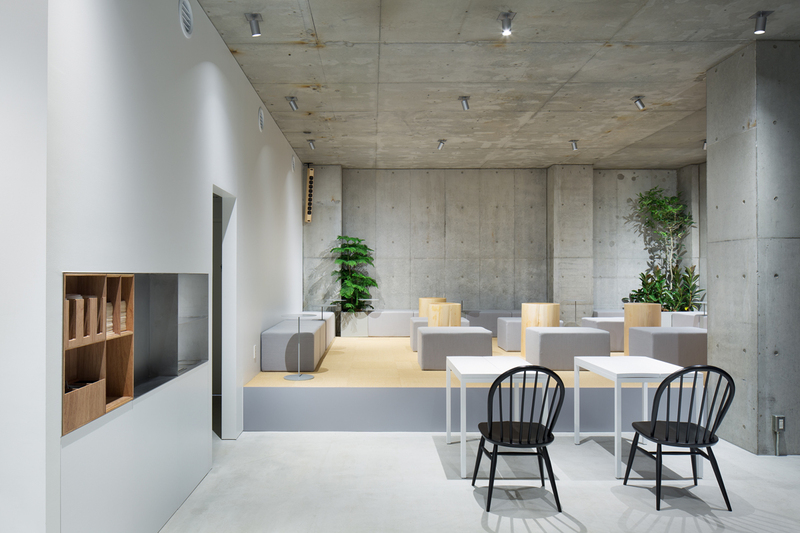 Taking advantage of the spatial depth, we create three cafe zones according to length of stay and behavior, which gradually shift from short staying zone at the entrance to long staying zone in the back. 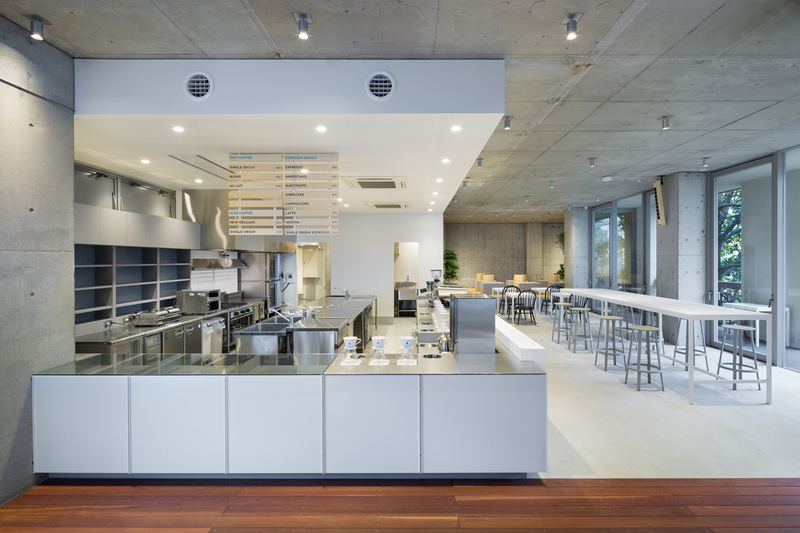 The kitchen is designed to ensure that all activities can be seen without obstruction. 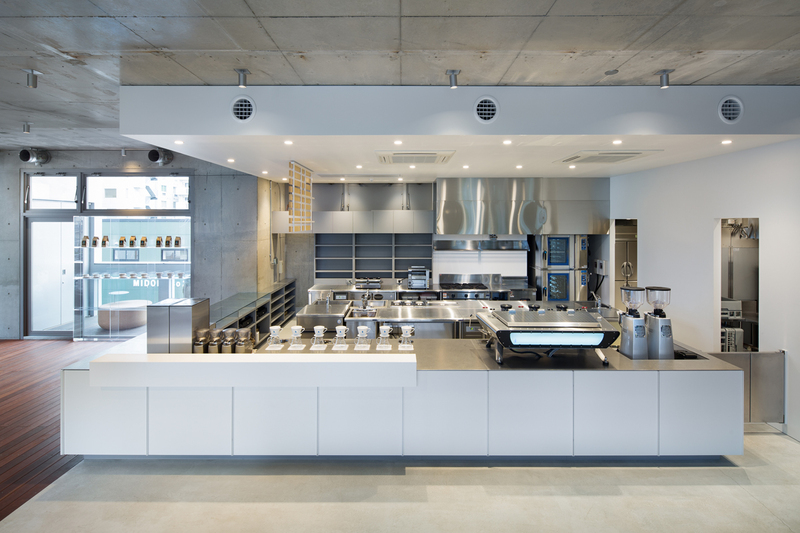 We treat space for customers and the kitchen as equally important, hoping that customers and the staff will make a good cafe together.